It's a good thing we love rainbow! Here's another collection of work designed for Alberta's queer community. 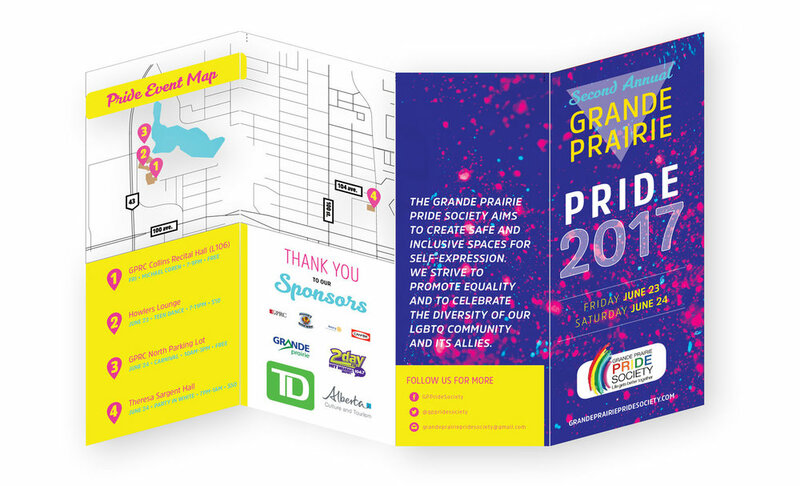 Grande Prairie pride came to us for a poster - we took it to the next level with a new website, visual identity and brochure design. GP Pride Week. Poster. 2017. Pride Week brochure, inside spread. 2017. Pride Week brochure, outside spread. 2017.